​The Pilgrims landed and formed colonies. BUT….England still controlled those colonies. This made the pilgrims angry. Why? Because England’s monarchy (king) was taxing them for everything! That means, he was taking all their money and saying it was payment for ruling them. Wouldn’t you want to get away from someone like that? So, those folks in the colonies decided it was time to go to war. And, of course! We won! Because America is awesome! BUT, now we are a free country all on our own with no ruler or king. What now? Now, we write some rules. Just like your teacher has rules in your classroom, a country needs rules in order to maintain the safety, and well-being, of it’s citizens. 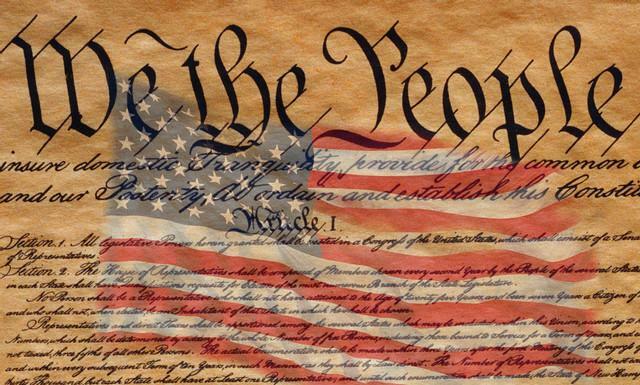 The first set of rules we had were called The Articles of Confederation. But, they didn’t allow the central, or federal, government to have ENOUGH power. That’s when the Continental Congress was formed in order to create the constitution we have today. Today’s listening example is a song that explains the Constitution. Camille Saint-Saens [kah-MEAL san-SAHNS] was a French composer during the Romantic Era of music. The Romantic Era was a time when composers used music as an expression of intense feelings…...usually of romance or love. 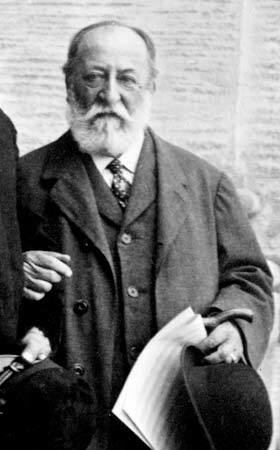 Charles-Camille Saint-Saëns was born in Paris on October 9, 1835. His parents, Victory and Francois (Fran-Schwah) never had any other children. Less than two months after Camille’s christening, Victor Saint-Saëns died of consumption on the first anniversary of his marriage. The young Camille was taken to the country for the sake of his health, and for two years lived with a nurse near Paris. Before he was three years old he displayed perfect pitch and enjoyed picking out tunes on the piano. 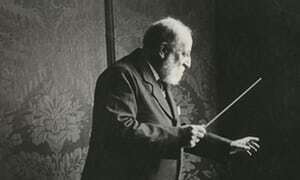 As a schoolboy Saint-Saëns was outstanding in many subjects. In addition to his musical prowess, he distinguished himself in the study of French literature, Latin and Greek, and mathematics. He loved to learn and knew that education would take him far in life. Today’s Listening Example is Danse Macabre. According to legend, "Death" appears at midnight every year on Halloween. Death calls forth the dead from their graves to dance for him while he plays his fiddle (here represented by a solo violin). His skeletons dance for him until the rooster crows at dawn, when they must return to their graves until the next year. The piece opens with a harp playing a single note, twelve times (the twelve strokes of midnight). Can you hear the skeletons dancing? A child prodigy, CAMILLE SAINT-SAËNS was renowned as a virtuoso pianist of wide-ranging tastes. He was also a prolific composer, contributing to virtually every genre. Saint-Saëns gave his first piano recital in 1846, at the age of 11. He studied organ and composition at the Paris Conservatory, and in 1855 his Symphony No. 1 was performed. 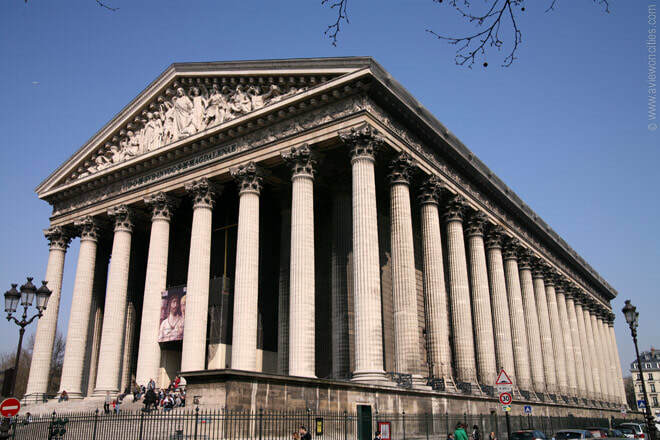 He became organist at the famed Church of the Madeleine in Paris in 1857, an association that lasted for 20 years. Liszt, whom he met about this time and with whom he formed an enduring friendship, described him as the finest organist in the world. Today’s listening example, the Piano Concerto No. 2 in G minor, was composed in 1868 and is probably Saint-Saëns' most popular piano concerto. At around 1:30, the symphony makes a grand entrance, but the piano is always the star. Perhaps that is because the piano was Saint Saens’ favorite instrument. The music starts out very serious sounding, like a sad time during a movie. But, then it quickly becomes fast and almost happy. Remember, the expression of emotions is a big part of music from the Romantic Era. 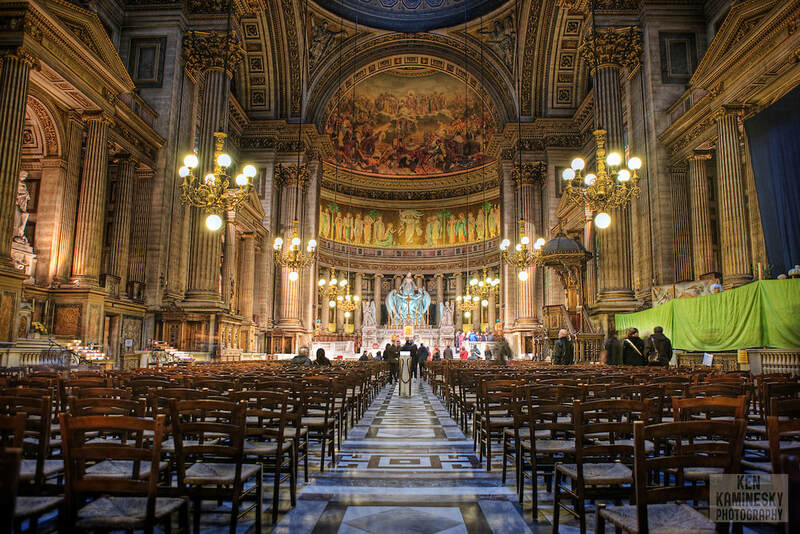 Like many composers of the 1800's, Saint-Saens began his career playing organ for churches. He played for weekly church services and about 200 weddings a year. That averages almost 4 weddings a week! This provided him a comfortable income to support himself while he composed music for symphonies to play, including organ symphonies. Although Saint-Saens was composing music during the Impressionist era in France, he was not 'impressed' with that style of music being written by Claude Debussy, the leading impressionist composer. He thought it was too free-form and unstructured. Saint-Saens preferred a more traditional type of music. Camille was known for his ideas of how music should be written, he still supported up and coming artists, such as Richard Wagner, who we studied two weeks ago. In fact, Saint Saens said, of Wagner, “I admire deeply the works of Richard Wagner in spite of their bizarre character. They are superior and powerful, and that is sufficient for me. But I am not, I have never been, and I shall never be of the Wagnerian religion.” In other words, he thought Wagner was an outstanding musician, but he would never write music that was anything like Wagner’s. Samson and Delilah is a grand opera in three acts and four scenes by Camille Saint-Saëns. The opera is based on the Biblical tale of Samson and Delilah found in Chapter 16 of the Book of Judges. It is the only opera by Saint-Saëns that is regularly performed. The second act love scene in Delilah's tent is one of the set pieces that define French opera. Today’s listening example is “Bacchanale” from Samson and Delilah. A Bacchanale is kind of like a celebration in dance. Here they are celebrating Samson’s defeat. After twenty years as an organist, he devoted his time to composing, conducting orchestras and performing on the concert stage. He became an international celebrity whose playing skills remained strong even when he was in his mid-eighties. The Carnival of the Animals is a humorous musical suite of fourteen movements by Camille Saint-Saëns. Each movement is named after an animal. The work was written to be a private performance. Originally it was written to be played by an ensemble of two pianos and other instruments, and lasts around 25 minutes. 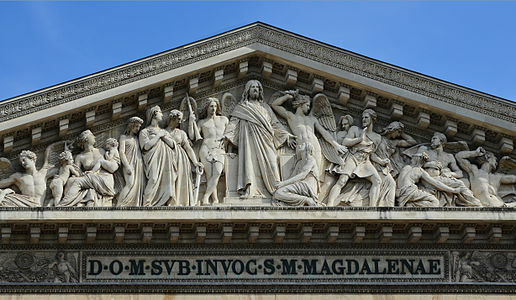 Saint-Saens included Kangaroos, tortoises, chickens, elephants (that are represented by the sounds of a string bass) and aviary (birds of flight) that are represented by the sounds of a flute. 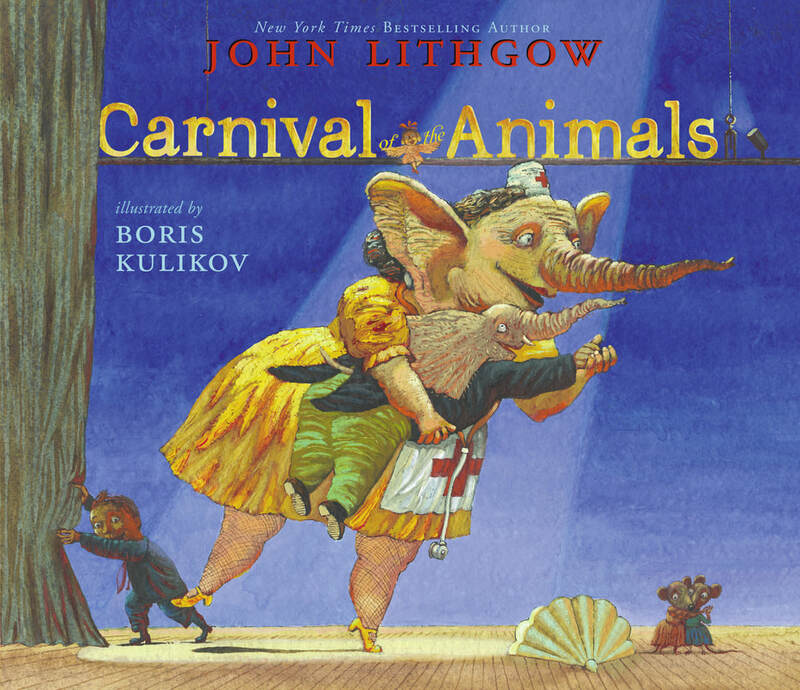 Today’s listening example is “Aquarium” from The Carnival of the Animals. This is one of the more musically rich movements in the piece. It was written for two violins, viola, cello, two pianos, flute, and glass harmonica. The melody is played by the flute, backed by the strings. Today’s video is actually a listening map for this movement. Watch for the fish and the bubbles. You will notice the fish move up or down with the notes and their part usually has the same melody. Lesson Objectives: Connect to American folk music. CN.11.2.2 - 4.2. Interpret intent and meaning in artistic work. R.8.K.1 - 6.1. Perceive and analyze artistic work regarding musical concepts pertaining to styles. R.7.5.1, 6.1. Recognize musical forms (suite). P.4.K.2.-6.2.